I got a 30ml sleek bottle of this perfume last month when I was spending time in Madrid. Originally I just thought I'll pick up something cheap and memorable, and I didn't know whether Zara in Hong Kong stocks their perfume. I purchased a Zara Creme (given to a friend as souvenir) and this Black Peony, because they smell nice at first sniff, and they look pretty in the bottle. lame. As I loved this new acquisition SO much, I began fearing I'd run out of it at anytime. 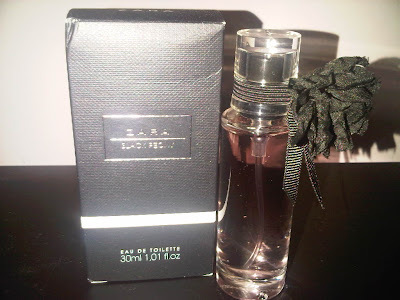 Hence I made a visit to the local Zara this past weekend, hoping to find this very fragrance on sale. And there it is! Without being over-priced, how surprising! I got my Spanish bottle at around 8 euro (for 30ml) and now I got my HK bottle for $259 (100ml!) which is actually cheaper dollar to dollar! 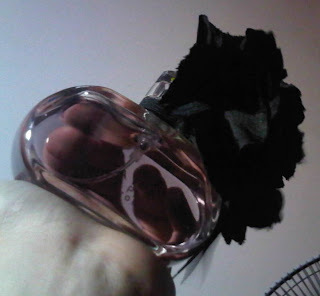 If you read Spanish, continue your Black Peony admiration at this blog, which says it is a dupe for V&R Flowerbomb! Update: 24th Oct, 2011 Added better picture. Heyyy!! Thanks for linking me in your post! It was such a great surprise for me!! I absolutely adore Black Peony and you have a chance to try the "Flowerbomb" you'll see they're practically twins! Also, have you tried Zara's "White Jasmine"? 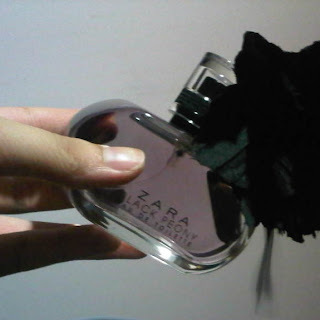 There isn't too many English (or Chinese) blogs on Zara perfume so I found yours when I google! I haven't tried White Jasmine, but I may smell it next time I visit Zara shops, does that smell good as well?